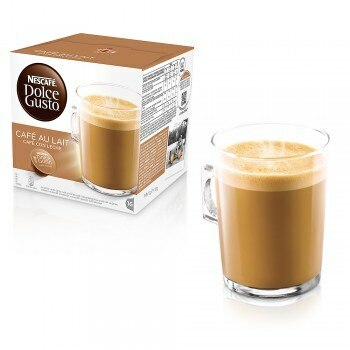 Café au Lait is a harmonious balance of intense coffee and smooth milk, already prepared in a single capsule, for you to enjoy perfect mug-sized coffee (180 ml) in a minute. 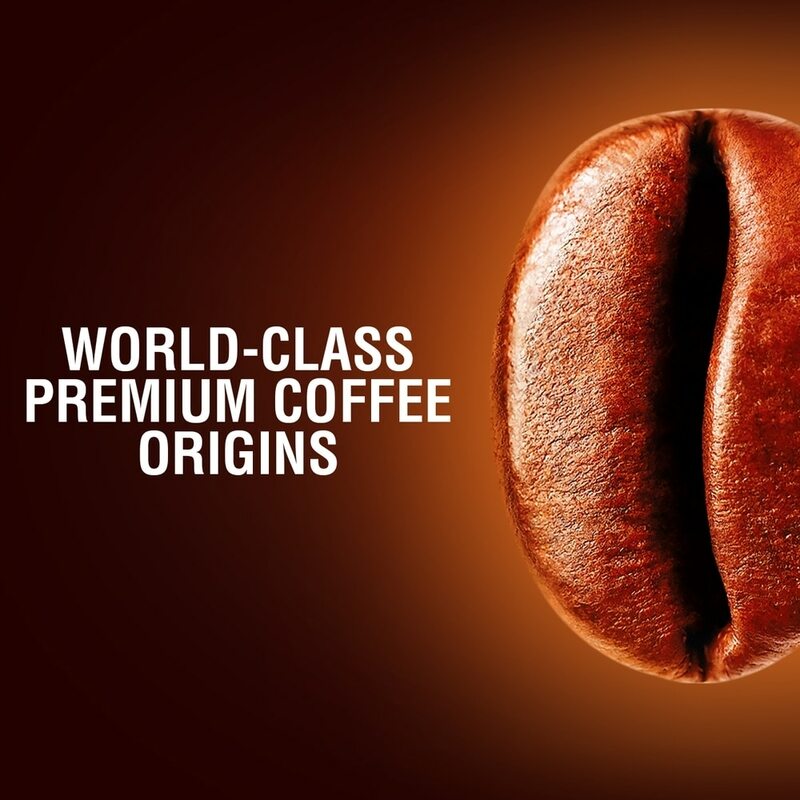 Our talented coffee creators have combined the intensity of pure Robusta coffee beans with soft creamy milk, to reveal the subtle notes of caramel and toasted cereal of this harmonious and balanced cup. 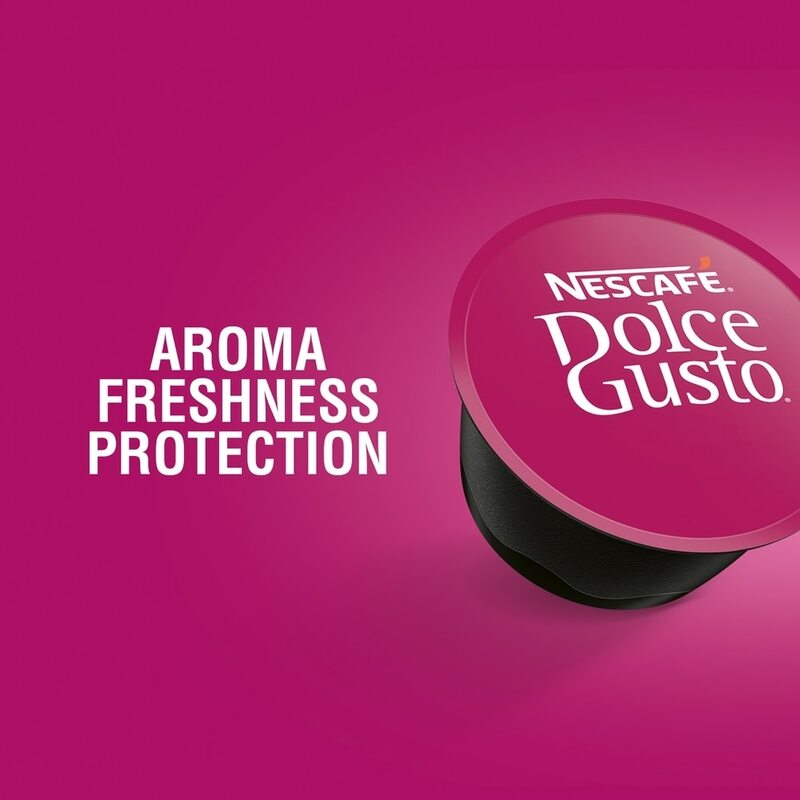 Simply slide your Café au Lait capsule into your NESCAFÉ® Dolce Gusto® machine and have your perfect Café au Lait ready right away. 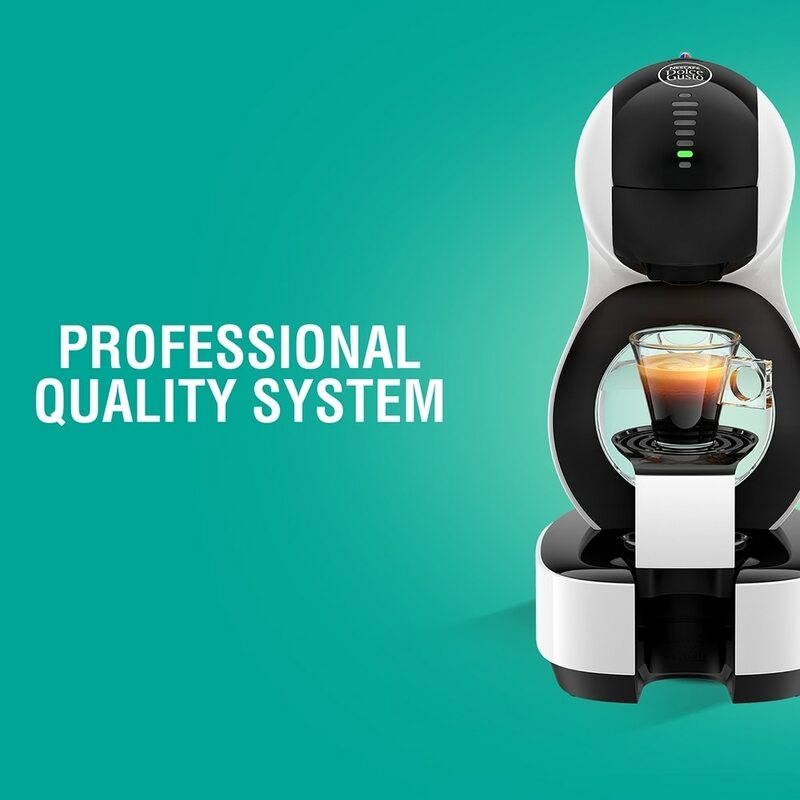 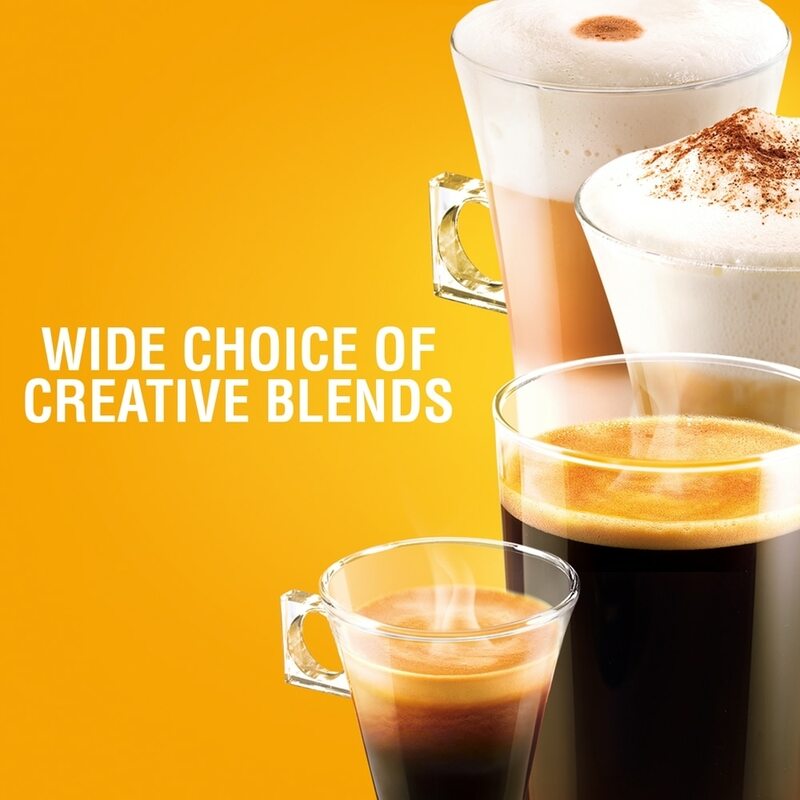 Take your pick from over 30 high quality coffee creations: choose from our range of intense espressos, smooth cappuccinos, aromatic Grandes, even hot chocolate, teas, and many more. 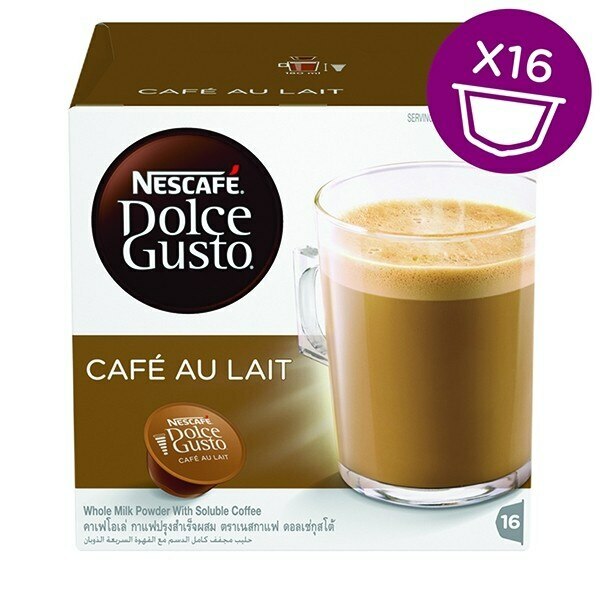 Each box contains 16 capsules designed for NESCAFÉ® Dolce Gusto® capsule machines and allows you to prepare 16 cups of Café au Lait. 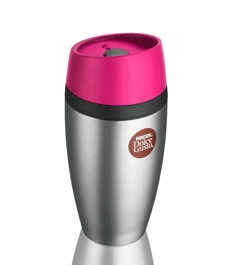 There's no coffee in this. It just tastes like brown water. 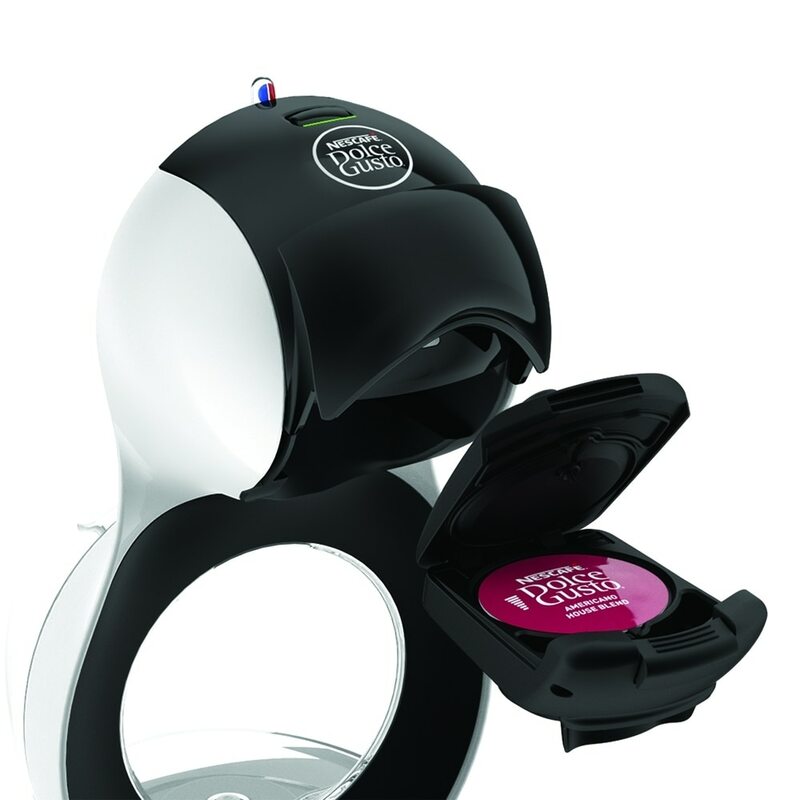 I was very disappointed with this purchase. 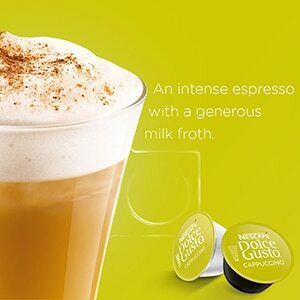 Better to buy the Espresso and add milk on your own. Never buying this again.